Edvance receives funding from the Tertiary Education Commission (TEC) Workplace Literacy (WLN) funding pool and uses this funding to support the delivery of learning programmes to clients. Programmes are delivered across multiple and culturally diverse employer sites nationwide. Our tutors come to you and work directly onsite with you. We offer dedicated support and guidance to learners in their familiar work environment.  Edvance is NZQA accredited. This means NZQA unit standards can be included in the programme for an additional cost. We tailor programmes to suit your workplace needs. Tutors work with real applications, such as a quote or report that needs to be written, an agenda for a meeting, time sheets etc. Progress reports are provided by Edvance to keep your company informed of the employee’s progress and achievement. Staff with an ability to think, analyse, problem solve, communicate, run meetings, speak up at meetings, put forward ideas for improvement, make efficient use of time and plan ahead, as well as read and understand written documentation and complete all written work in a professional manner. Reluctance to accept internal promotion. Interested in finding out more information about our Workplace Training and Development programmes? Contact us to discuss your biggest staffing and workforce challenges. Email: info@edvance.co.nz or simply fill out the form below and we will be in touch with you directly.